Pride Abstract and Settlement Services is a family owned and operated title insurance and settlement company. Pride Abstract views their customers as part of the family. 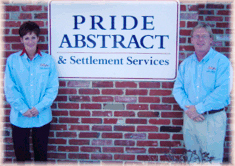 Pride Abstract and Settlement Services have built their success and earned their reputation by providing unequaled customer service. They give you comfort in knowing that you are in good hands. You may find yourself asking questions like “who usually pays title insurance,” or “why do I need title insurance?” We have the answers and, more importantly, the solutions to help you get on the right track during the home buying and selling experience. Pride Abstract and Settlement Services are here to protect your largest investment ever. 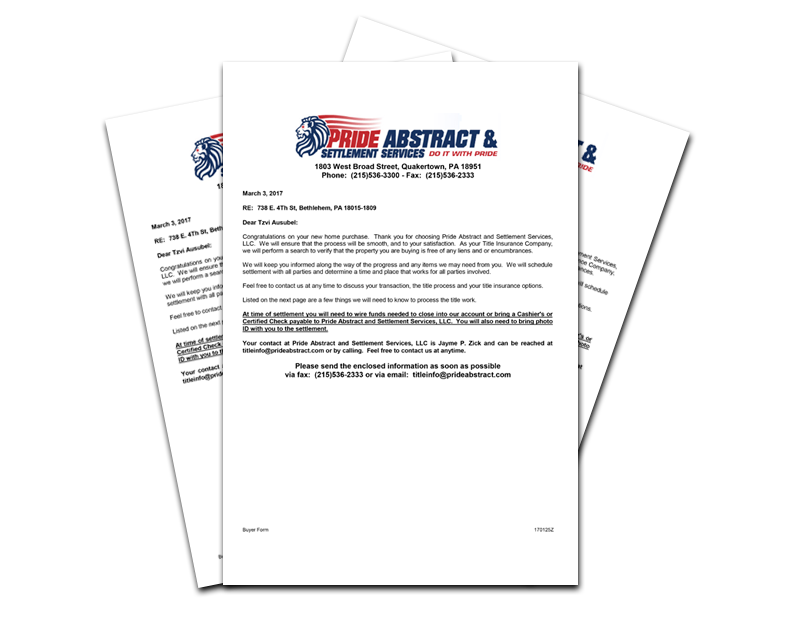 After nearly a decade in the real estate world and an additional decade of title insurance experience, Pride Abstract was started to provide the best solutions and resources for homeowners, new and established. 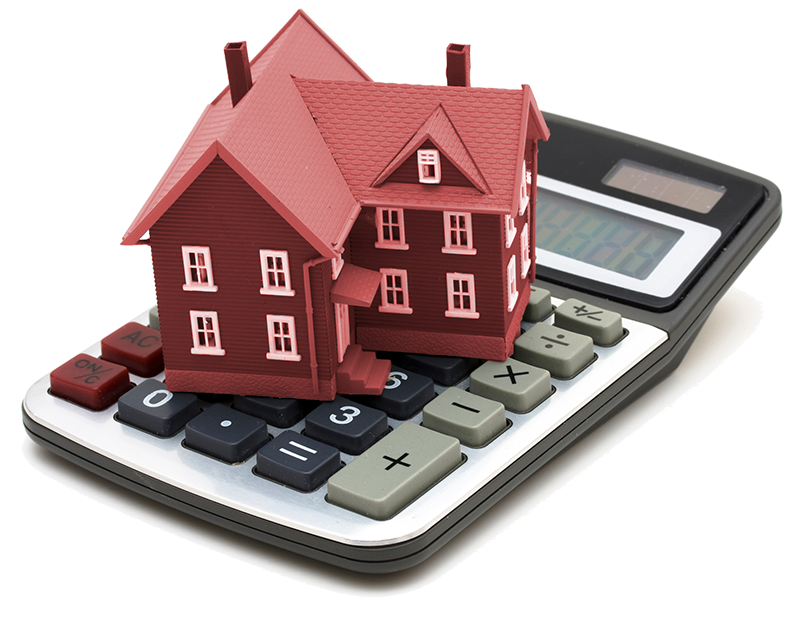 When it comes to PA title insurance rates, we have a title insurance calculator that can give you the run-down on the numbers. We do business in Bloomsburg, Easton, Allentown, the entire Lehigh Valley and New Jersey. Our underwriters are Fidelity National Title Insurance and Old Republic National Title Ins. Co. Both myself and my wife, Rosemarie, worked for a title insurance company for 12 and 10 years, respectively. In July 2005 we decided to open Pride Abstract. After working for a large corporation we wanted to offer a title company that was second to none when it came to customer service. Our name came about during a car ride with our children. As we were driving we asked them to come up with a name. One of them suggested Pride Abstract because I am a person of Pride and Honor. In November 2005 we opened our doors. We opened up in the beginning of the worst downturn our real estate market has seen. We started with just the 2 of us. Within a year we hired another employee. Then another the following year and again the next year. As other companies were closing we were growing. We contribute our success to our philosophy on giving the best customer service we can. I can say we have never lost a customer. Today we still are growing and still offer them same high level of customer service. Call us today for our title and settlement services. 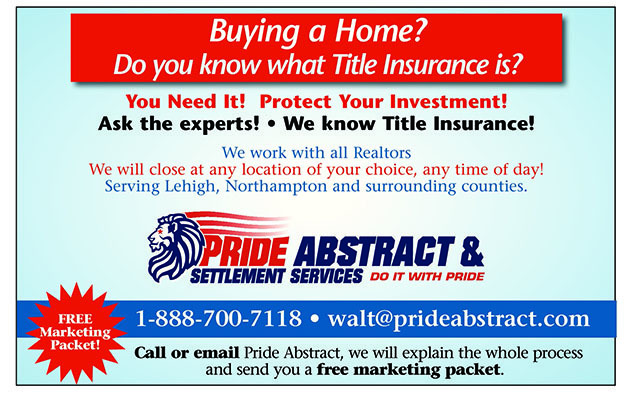 Tell your Realtor or Lender you have PRIDE and you are using Pride Abstract & Settlement Services! Our service area includes all of Pennsylvania and New Jersey – with Offices in Quakertown, Whitehall, Williamsport, West Chester, Cherry Hill, and Bethlehem! Get a Free Title Quote Today!